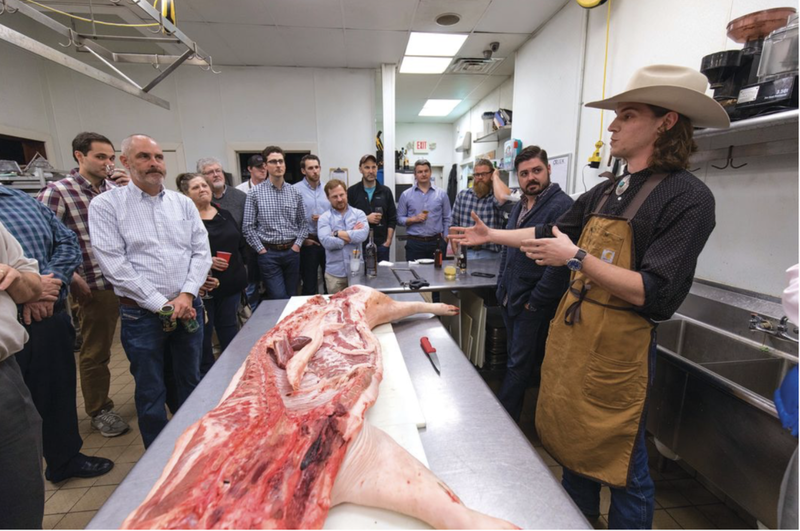 Upon arrival, guests will sample a selection of meats from Revival Market's charcuterie case before heading into the kitchen for a whole hog butchery demo by Morgan Weber and Jack Matusek. A family style meal will be served following the demo, and guests are encouraged to bring their own wine, beer and/or bourbon to enjoy throughout the night. To reserve your spot, email layne@revivalmarket.com.